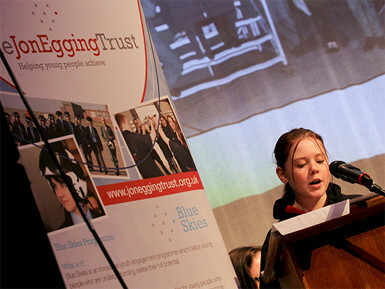 The Jon Egging Trust supports young people who find themselves in difficult circumstances. We help them to overcome adversity and achieve their full potential. 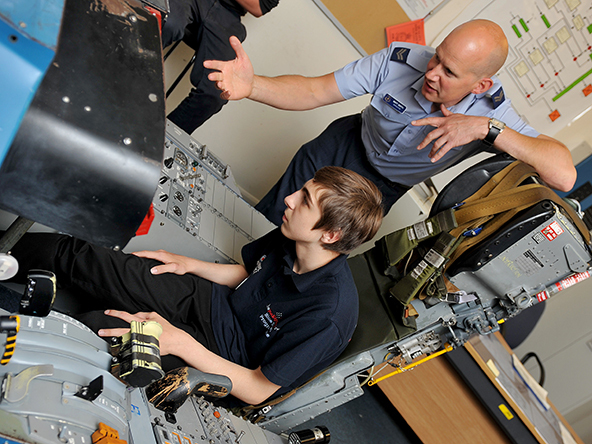 We deliver accredited learning programmes to develop young people’s life and work skills by providing access to inspirational role models and life-changing opportunities linked to aviation, engineering and science. The Jon Egging Trust raises aspirations, confidence and self-esteem, helping young people to re-engage with education and make informed choices about their futures. The Jon Egging Trust offers two youth engagement initiatives: Blue Skies and Inspirational Outreach, in conjunction with our partners from the worlds of aviation and STEM. Blue Skies is an intensive, targeted early intervention programme offered through two delivery routes: Blue Skies three-year syllabus and Blue Skies Inspire Packages. We work intensively with selected young people from the crucial ages of 12-16. The programme builds confidence, self-esteem and provides our students with the skills they need to be the best they can be. 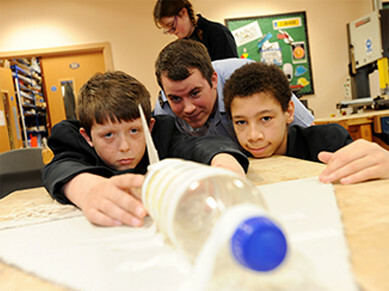 Our Inspirational Outreach programme provides bespoke impact days or a short series of sessions to young people aged 7+ according to needs identified by the schools. Inspirational Volunteers deliver alongside JET Youth Liaison Officers. Inspirational Volunteers include serving military personnel, veterans and service leavers. They host visits, deliver motivational talks and facilitate sessions. 4 For Red 4 was an outdoor challenge event organised by the Jon Egging Trust in October 2013 to bring together our Blue Skies graduates and their Inspirational Mentors to undertake the young peoples’ toughest challenge yet. The event was conceived by Flt Lt Frances Capps, a friend of Jon and Emma’s. Fran was tragically killed in a mountaineering accident in February 2013 and the challenge took place as a tribute to both her and Jon.